In true Pleo fashion, you asked, we listened! 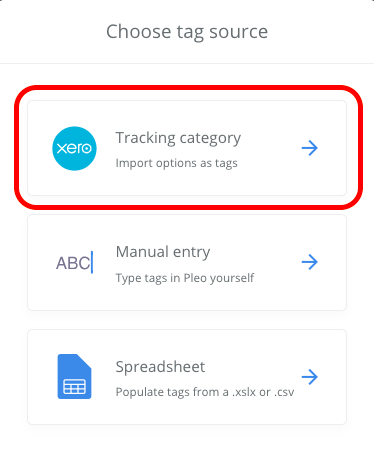 You can now import your tracking categories from Xero into Pleo, making your expenses even more defined and easy to allocate. It's simple. But first, please ensure Xero is selected as your accounting system and integrated with Pleo. Go to your Settings page and on the top bar menu, select Tags. Click on Create tag group on the top right of the page. 4. Select your Tracking category and click Next. 5. Name the tag group for example; Region/Location and click Create and Import. Now all of the users will have the option to select the correct tracking category on each expense, making your accounting in Xero even smoother.